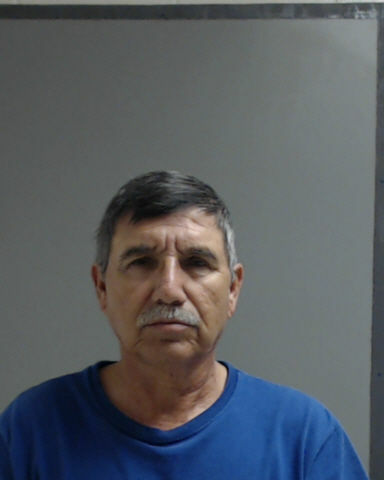 A former school bus driver already facing sexual abuse allegations was booked back into jail Monday afternoon on two new charges of indecency with a child through sexual contact, according to Hidalgo County jail records. Jose Luis Garza, 59, voluntarily surrendered to authorities Monday, said his attorney Carlos A. Garcia. His surrender came less than two weeks after he posted bond May 24. First arrested May 10, Garza now faces four counts of indecency with a child through sexual contact, a second degree felony carrying up to 20 years in prison, and three counts of continuous abuse of a child, a first degree felony carrying a life sentence if convicted. Like the previous charges, the new counts on which he was arraigned Monday stem from his employment as a bus driver for IDEA Mission North, a public charter school. Garcia said his client denies all allegations against him. A second-grade student alleges Garza touched her inappropriately over clothing while on the bus from August 2017 to April of this year, when he was fired from the district following a Hidalgo County Sheriff’s Office investigation into students’ allegations of sexual abuse. The 8-year-old also alleges Garza kissed her on the cheeks, according to the probable cause affidavit. A 6-year-old kindergarten student made similar allegations, adding that Garza inappropriately touched her under her clothing during the same time period, according to the affidavit. Previous students allege Garza sexually assaulted them with his fingers. He remained in jail Tuesday, his cash surety bond on the two new charges set at a combined $300,000 by Precinct 5, Place 1 Justice of the Peace Jason Peña. Garza’s May 24 release came after his total bond was lowered from $420,000 to $120,000, and Garcia noted that approximately 30 community members came to the bond reduction hearing in support of his client. This story has been updated to reflect the correct name of Precinct 5, Place 1 Justice of the Peace Jason Peña.